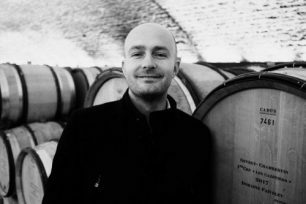 Erwan Faiveley, who took over the Domaine in 2005, has had the pleasure of tasting through the Domaine Faiveley 2016s with the award winning wine journalist, Jamie Goode. Jamie’s top scoring wines for the visit were the Domaine Faiveley Bienvenue-Batard-Montrachet Grand Cru, the Gevrey-Chambertin 1er Cru Lavaux St Jacques, Latricières-Chambertin Grand Cru, Corton Grand Cru Clos des Cortons Faiveley and the Chambertin Clos de Beze Grand Cru, which all scored over 95 points. Contact the Domaine Faivelely Brand Manager, Christine Allen, to find out more.